From the makers of Traffic Racer, here comes Traffic Rider! Dubbed as the next generation game of endless motorbike racing, Traffic Racer game is presented as a more detailed gaming experience. In contrast, it retains the vibe of old-school fun and simplicity. Ride into traffic, while making your way ahead of other vehicles in this swift online game. Be amazed at Traffic Rider’s first-person camera view. Hack and cheat your way in Traffic Rider as you learn the best tips and tricks in this online racing game. The game has detailed environments with day and night variations. If you listen closely, you will hear the sound effects of real motor noise recorded from actual bikes. With 29 customizable motorbikes to choose from, enjoy personalizing your ride. Unlock them as you advance levels. So what do you say? Are you ready to give this a whirl? Welcome to Traffic Rider. A minimalist “touch to start” page greets the player as you prepare to begin the game. The game’s main menu is simple as well. Similar to Traffic Racer, the Traffic Rider online has Game and Career modes. Like the other offering from Soner Kara, the game has different options. These are Endless, Time Trial (one way or two way), and Free Ride. Career mode has over 70 missions. Talk about hours of high-octane entertainment! Toggle music, sound FX, graphics, and language in settings. Traffic Rider also features an online leaderboard to watch how you’re doing compared to your friends. The game has over 30 achievements that you can compete for. Personalizing your bike has never been so much fun! Unlock bikes as you earn more cash. Change its paint color, your gloves, and decorate it with decal stickers. Not an English speaker? No worries, as the game provides support for 19 languages. For online game controls, Traffic Rider has several options to steer. These are tilt, buttons, handlebar, and gamepad. You can also choose if you want the throttle in manual or automatic. The brakes can also be detached if preferred. The option to invert controls is available, as well as device control sensitivity. Soner Kara first released the Traffic Rider game on January 11, 2016. The most recent version 1.5 was last updated on September 11, 2018. This included the option to customize the player’s bike with over 30 stickers. In addition, the game update included three new bikes, 25% app size reduction, several other improvements, and bug fixes. Traffic Rider is for players aged three and above. Ain’t that cool? You’ll never find another game like Traffic Rider! An endless speed racing game like Traffic Rider requires you a few things to remember. Start and don’t stop. Moreover, the faster you go, the higher the chances of you earning more coins and bonus points. Speed is the name of game in this game. Are you interested to know some Traffic Rider hacks and cheats? Well then, read on below and learn in detail our legitimate tips and tricks to improve your gameplay. Give in to rider’s high! The faster you ride your bike, the more score you gain. 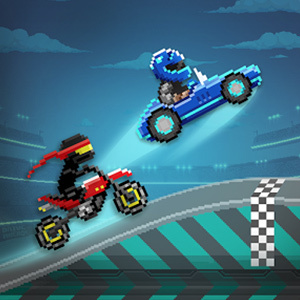 When driving over 100 km/h, you can overtake closely for a bigger bonus score and more cash. When driving in the opposite direction (in the two-way mode), you will get a bigger score and cash. Not only that! One more trick you can do is to perform wheelies to get extra score and cash. With the levels that have checkpoints, you can check how far you are from them. Your progress is on the upper portion of your screen. After finishing a stage in Traffic Rider, your stats will be displayed on your screen. This will include total distance, close overtakes, high speed, and opposite direction. It will also indicate if you accomplished the mission given to you. You will see your total earnings. You have the option to try the same stages again as much as you want. This is also helpful if you want to have higher scores saved for your profile. Have you clicked on that Traffic Rider download yet? Join the pack and race your bikes into the sunset! We have more games in store for you! Download and play Rider and Knock Balls for free now!